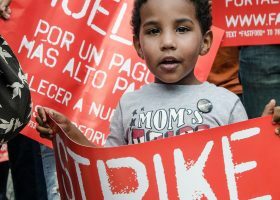 When was the last time the minimum wage was raised? 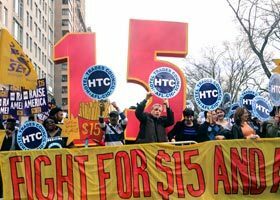 The federal minimum wage was last raised on July 24, 2009, when it rose from $6.55 to $7.25 per hour, the last step of a three-step increase approved by Congress in 2007. 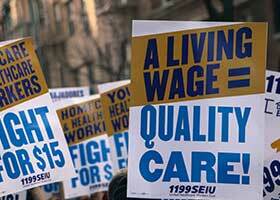 Before 2007, the minimum wage had been stuck at $5.15 per hour for 10 years. 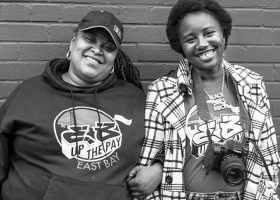 Frustrated by inaction at the federal level, the states and, increasingly, many cities and counties have moved to raise the wage floor. 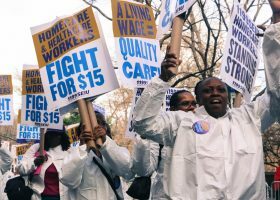 Twenty-five states have raised their minimum wage since the last federal increase—some through legislation or ballot initiatives, and others through having adopted “indexing” provisions that authorize small automatic increases most years to keep pace with the rising cost of living. The strongest momentum in recent years, however, has been at the local level. 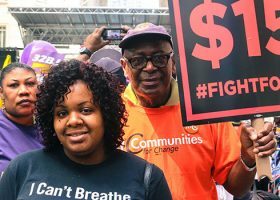 Altogether, more than 40 cities and counties have raised the minimum wage locally since 2012, and at least 34 since 2014. See our Wages by State map for details.